Florence Nightingale, English nurse and hospital reformer, 1855. Named after the place of her birth in Italy, Nightingale devoted her life to the sick and suffering. 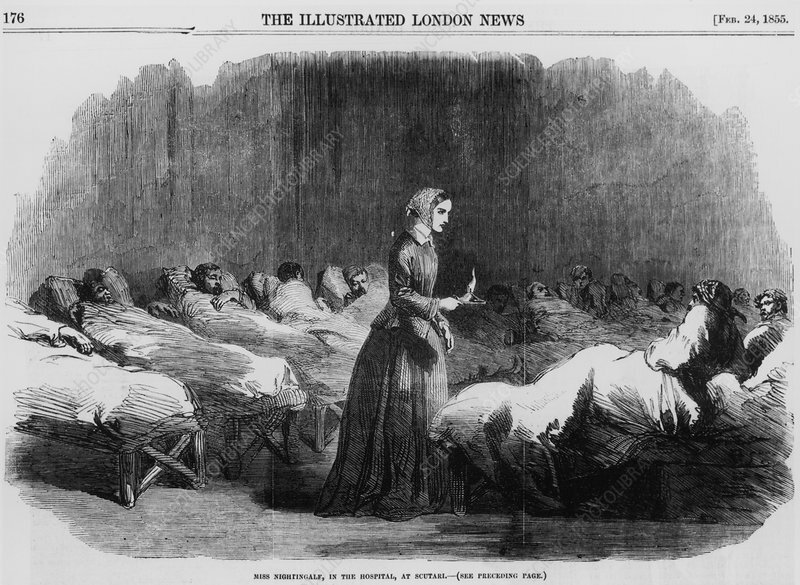 She volunteered for duty in the Crimean War (1854-1856), and whilst at the hospital barracks at Scutari, she drastically reduced the mortality rate by imposing a strict discipline and high standards of sanitation. In 1859, she wrote 'Notes on Nursing', and in 1861 she founded the St Thomas's School of Nursing in London. Plate taken from 'The Illustrated London News', (1855).